David Round will provide you with standard or customized lifting products no matter how demanding or difficult your material handling needs. We currently have a limited supply of RC1000's and RC1000K's in stock and ready to ship. Contact us today to order yours while supplies last! Exceeding compliance regulations, our stainless steel lifting products offer hygienic cleanroom solutions and are ideal for use in the pharmaceutical and food processing industries. 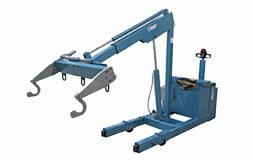 INCREASE WORKERS' SAFETY AND PRODUCTIVITY WITH OUR MOTORIZED JIB CRANE KITS! Our Roto-Mate / Roto-Max powered motorization kits are designed to mount on free standing or wall mounted jib cranes resulting in reduced worker strain and higher productivity. Over 140 years of industry experience! 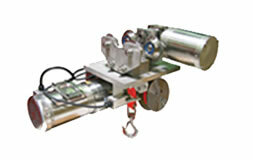 Wide variety of hoist, winch, jib crane, and tractor drive products. Customizable solutions to fit any application. 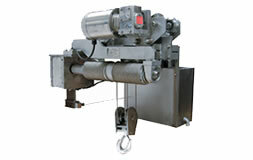 We excel at engineering hoists, winches, and other handling solutions. Let us provide you with standard handling products such as an electric wire rope hoist for your more conventional applications. For unusual, demanding or difficult material handling challenges, let us work with you to create a custom hoist, custom winch or custom jib crane to your specifications. We have the experience, the passion and the flexibility to entertain special requests for custom material handling products. Customized Stainless Steel options available. 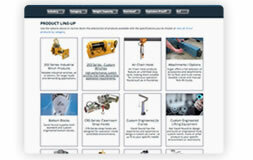 Wide variety of lifting related products and accessories. All of our products can be made in Stainless Steel and are available with wireless remote controls. This includes stainless steel hoists, cleanroom hoists and jib cranes. We are the leader in cleanroom equipment including stainless steel trolley products. Our Ruger Industries division makes all stainless steel lift tables for pharmaceutical manufacturing environments. We offer a variety of lifting related products and accessories, including lifting chain, power heads and bottom blocks. We are proud to continue to manufacture well-engineered and solidly constructed hoist, winch, tractor drive and other lifting products in our plant in Streetsboro, Ohio outside of Cleveland. If your application for winches, hoists, jib cranes or other material handling equipment requires proven durability, solidity and reliability, we invite you to compare our designs to others.